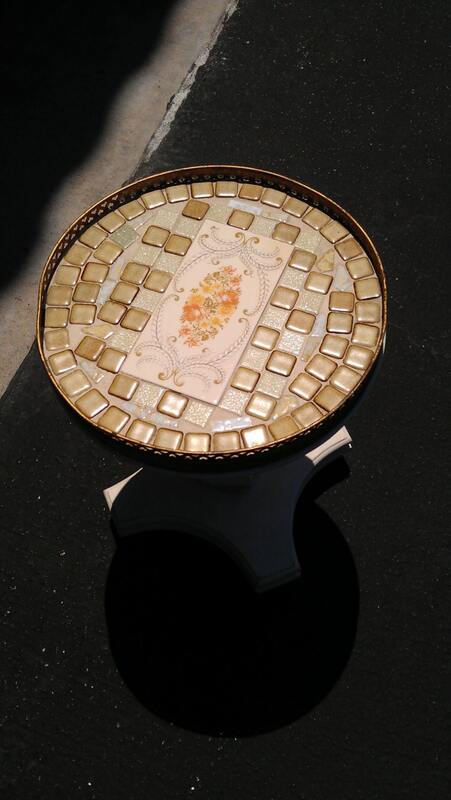 Pretty petite accent table with decorative tile top and heavy, white wood base. 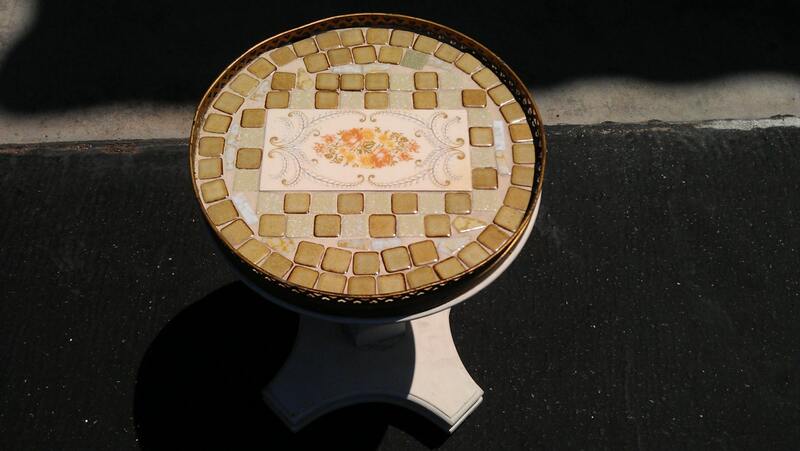 Regency side table with tile top and pierced brass gallery in the shape of hearts. 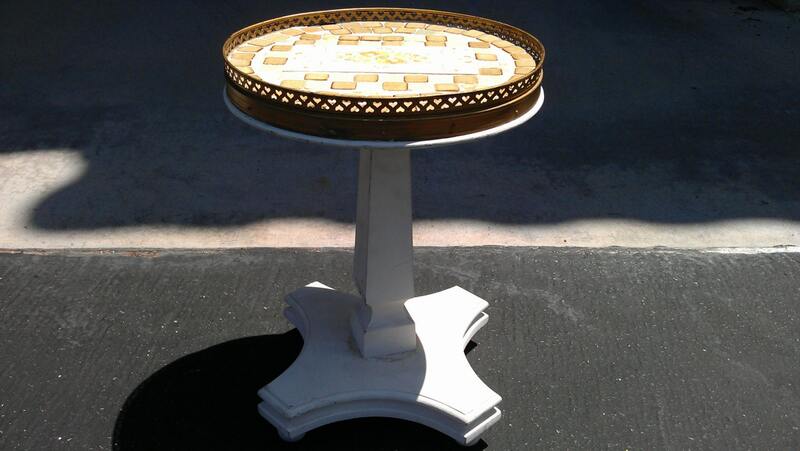 On heavy, white wood base. 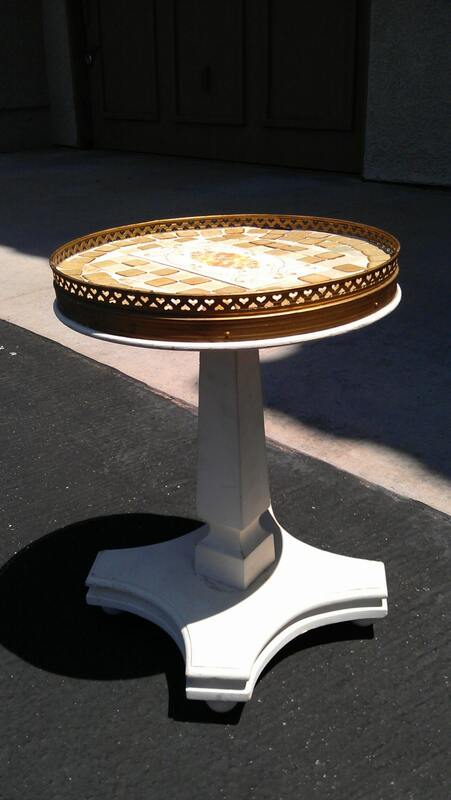 Good sturdy condition, some wear from age and use.